In 2017 JB Designs became a part of Collective Designs, a partnership with two other interior designers housed within Holder Mattress in the Indiana Design Center (IDC). Collective Designs is the collaboration of three interior designers with over 50 years of experience. Each designer has developed their own distinctive style. Whether you are traditional, contemporary transitional or a combination of the three we have a designer for you. 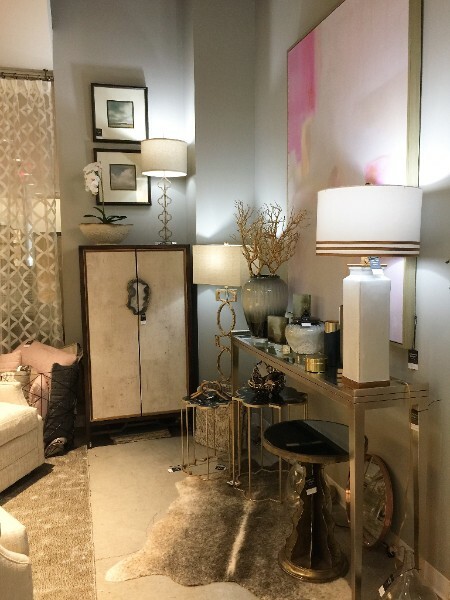 We are located within the IDC and feature a small selection of home accessories, artwork, lamps and furniture at a discount from retail prices that is constantly being updated. Several times each month one of the designers is present to meet with and ask questions and talk about prospective projects. In February 2018, Collective Designs took part in the IDC's 2018 Luxe Design Showcase. The Luxe Design Showcase is an "annual event series designed to inspire and be the resource for home design, remodeling and custom building projects" according to the IDC. We had the opportunity to create a tablescape for the event and I love how it turned out! If you have a project in mind, Collective Designs can help! Contact me to see how we can help you transform your home.